Description: Join us on Saturday, May 18, 2019 from 10 am to 2 pm at Cause for Paws for the For the Love of Paws Pet Adoption Fair. Several local and Nebraska rescues and charities will be onsite with some of their pets available for adoption and answering any questions you may have about adopting or volunteering with their groups! Description: Join us on Sunday, January 27th between 1-5 pm for a professional photo taken of your pet(s)! All well-behaved pets are welcome (cats, dogs, bunnies, hamsters, ferrets, fish, etc.) 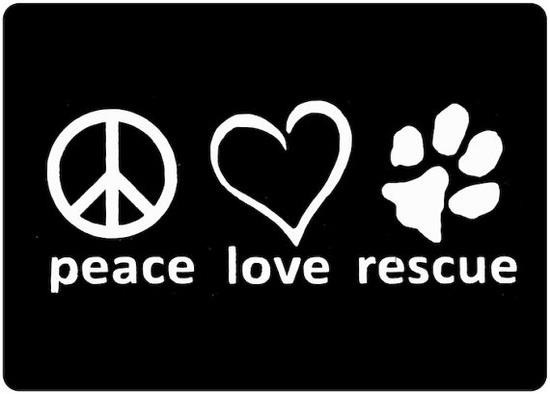 --just be sure they are on a leash, in a crate, box or bowl. 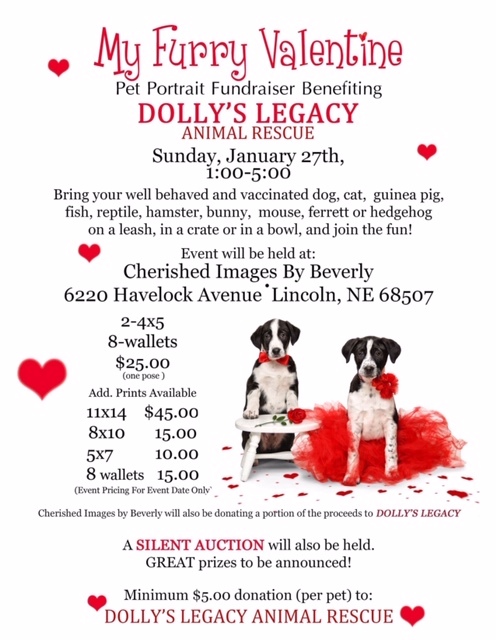 There is a minimum $5 donation to Dolly's Legacy Animal Rescue for each pet and a $25 photo package fee with additional prints available for purchase. There will be a silent auction with some great items and homemade pet and human goodies for sale as well! !